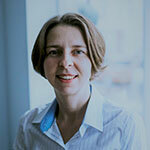 Dr Barbara Czarnecka is an Associate Professor of Marketing at London South Bank University’s Business School. Dr Czarnecka’s interests focus on three main areas: 1) how to influence people to change their behaviour; 2) global consumer culture; and 3) the behaviour of international organisations and how they influence and interact with culture, governments and individuals. Dr Czarnecka’s current investigations seek to uncover the influence of global consumer culture on impulsive buying, the relations between cultural values and acceptance of global consumer culture, and the relations between consumer empowerment and consumer social identities. Dr Czarnecka is the co-author of two textbooks: Marketing Communications (2014) published by Routledge, and International Marketing (2018) to be published by Sage. She also blogs about her research on www.barbaraczarnecka.com.